Hello hello my little nuggets! 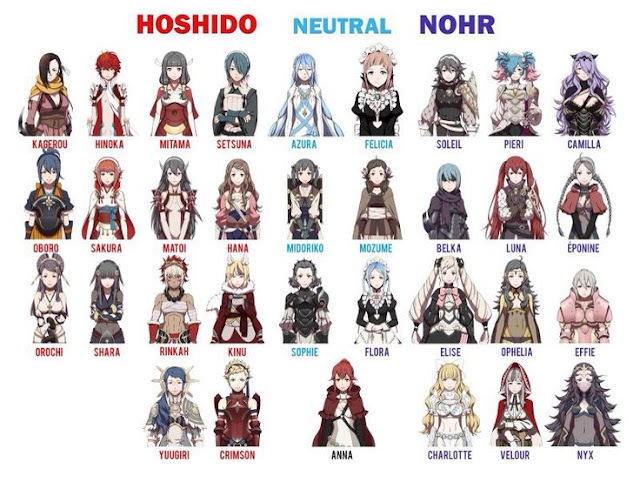 But yes, Fates. FE: Fates consists of three different separate games, Birthright, Conquest, and Revelations. 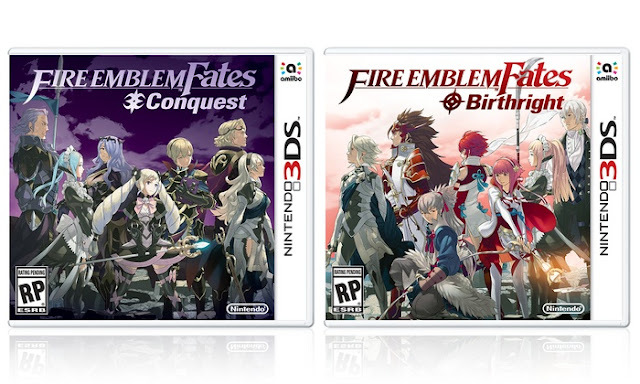 Birthright and Conquest are sold as separate physical cartridges, and Revelations is a DLC, but if you’re like me and have to get all three as physical copies, then you’ll have to go for the limited-edition version. The limited-edition sees all three routes combined into one single game cartridge, so if you lose it, gg man. The limited edition set costs me $190 I think? Or somewhere there, and last I heard the preorder slots were super competitive. Now a lot of people were calling me insane for paying $190 for a game, but hey, it’s three games, technically. And it’s not just the game, I got the artbook and a couple of other items packaged in. I’d say the artbook is pretty worth it on its own, Fire Emblem art never fails to disappoint. Now, you might wonder if there’s any difference, or if it’s just like Pokémon where no matter what you buy, it’s going to end up the same. Nah-uh, these are three entirely different routes with entirely different playthroughs, and entirely different outcomes. 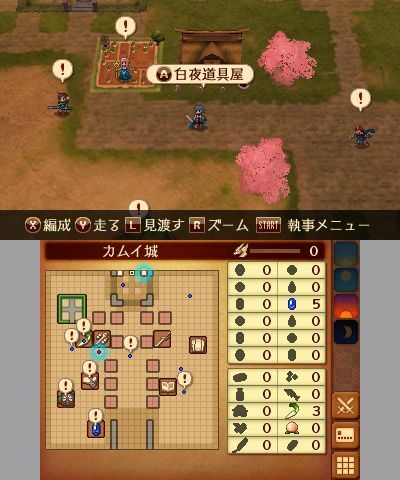 Birthright sees you playing on the side of the ‘East’, set in Hoshido. This is the easiest route out of all three, as it’s set for new players as well. Conquest is for the upper levels, and apparently will make you want to kill yourself when playing this. Conquest is you playing on the side of the West, set in Nohr. Revelations is somewhere in between, where you reject joining either sides, and instead play as a rebel, a wanted fugitive on both sides. This will allow you to collect characters from both Birthright and Conquest, and widens the marriageable range of characters. 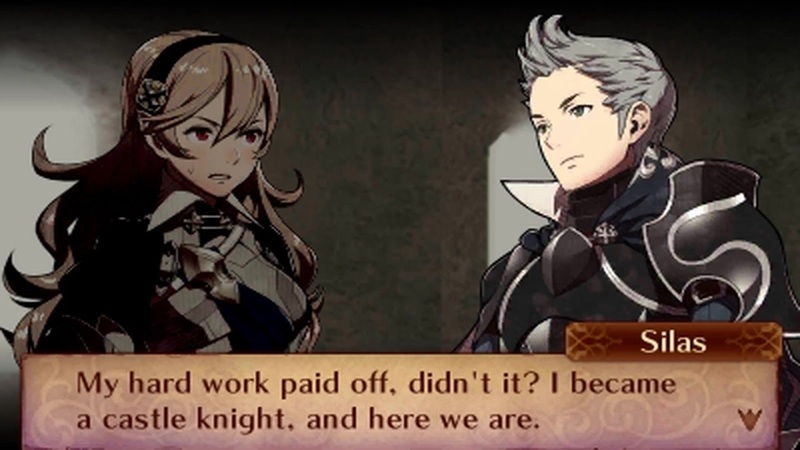 I played Birthright first, then Revelations, but have yet to start on Conquest. Reading the other players’ reviews on Conquest made conquering it look more than slightly daunting, so I’ll wait till I can summon the energy and heart to play through that. I’d say between Birthright and Revelations, I’ll pick Revelations because, a bigger marriageable pool of bachelors! 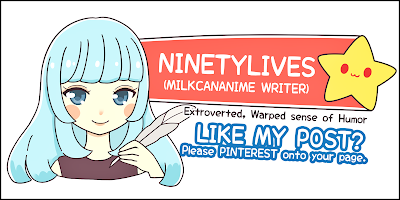 Also, because the story was more interesting for me. Revelations is also good because I cannot pick one side; they are both my families, and Revelations’ antagonist is a third invisible kingdom, the one that is the cause behind the war. So, win-win. there are different castle layouts! Revelations is also cool, because you get x2 the materials and resources compared to the others. This material collecting aspect is pretty similar to Animal Crossing, where it’s advised for you to visit other players’ towns to collect whatever materials they have/ are able to grow. 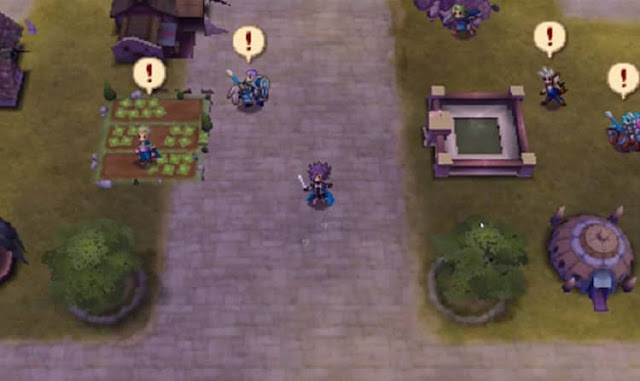 Usually each castle in either Birthright or Conquest is only able to have one ore material and grow one type of fruit/veggie, but in Revelations, you get two of each. You don’t get to choose which ore/veggie, but it’s still good to get x2. Ores are used to forge weapons, veggies for the mess hall, which buffs your characters for the next fight. You can also use them to purchase accessories, which is hella cute. For both my playthroughs on Birthright and Revelations, I went with Silas, because I am a sucker for the childhood friend troupe. 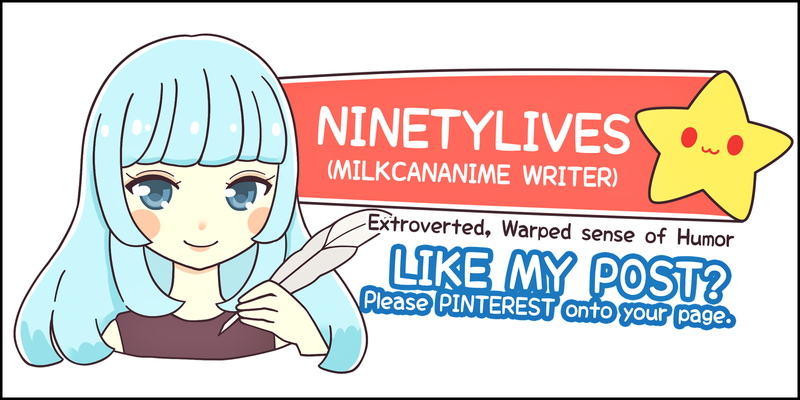 Also, because I am a double sucker for friends not remembering each other from childhood, and I am a triple sucker for angsty situations. 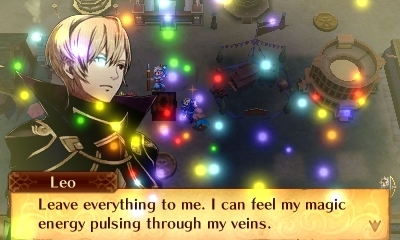 In Silas’ case, I have forgotten him, even though he only became a Knight just so he can see me again, and then in both Birthright and Revelations, he has orders to finish me, but in the end, he couldn’t and decided to let me kill him instead. But yknow, he’s not supposed to die, so instead he joins my team. 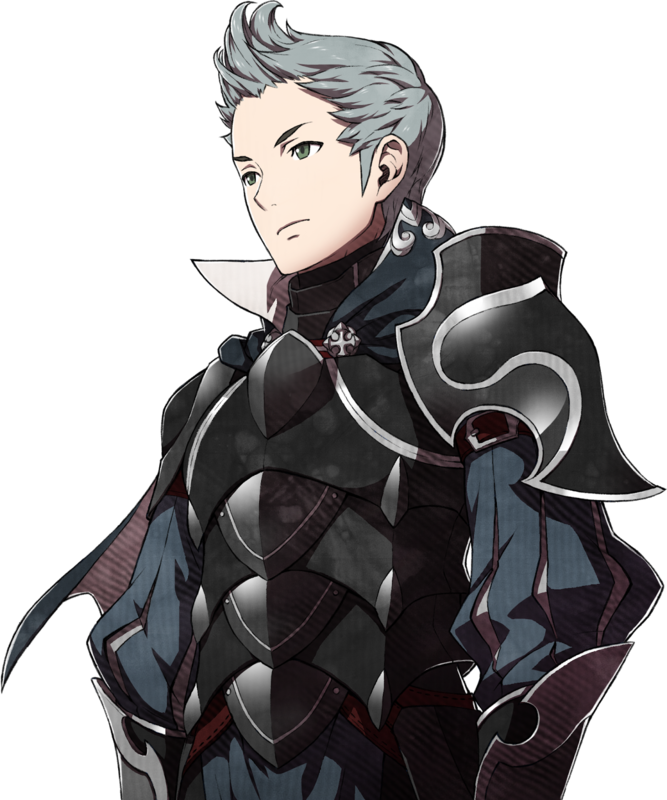 If you’re familiar with the Fire Emblem series, you’ll know that there are support convos, and the ones between F!Avatar and Silas is especially cute. I’ll link yguys on ALL of his support convos, but the important one in this context is just the first bit under Female Avatar. So so cute. Now, once you’re all married up, you get kids! And my child especially, is the cutest thing ever. The avatar will always have a kid, and the husband, whoever you pick, will have one too, so two children for the Female Avatar. I’m not sure about playing as the male avatar? Maybe you just get one kid? 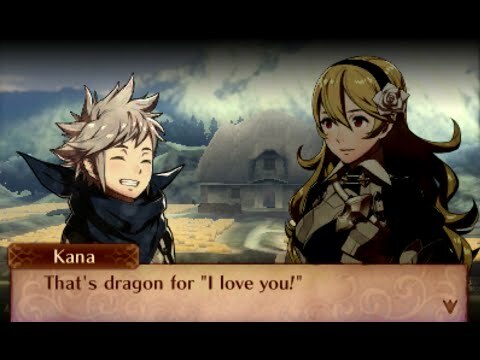 Unless you marry Azura I think. She has her own kid along with whoever she marries if I remember correctly. Anyway! LOOK AT THIS CUTIE. 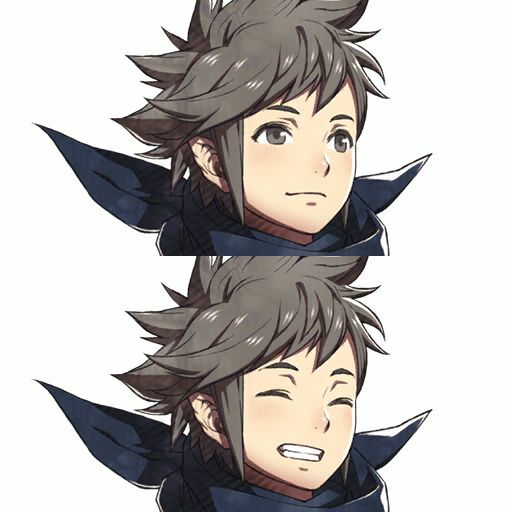 He’s too adorable in support convos too! 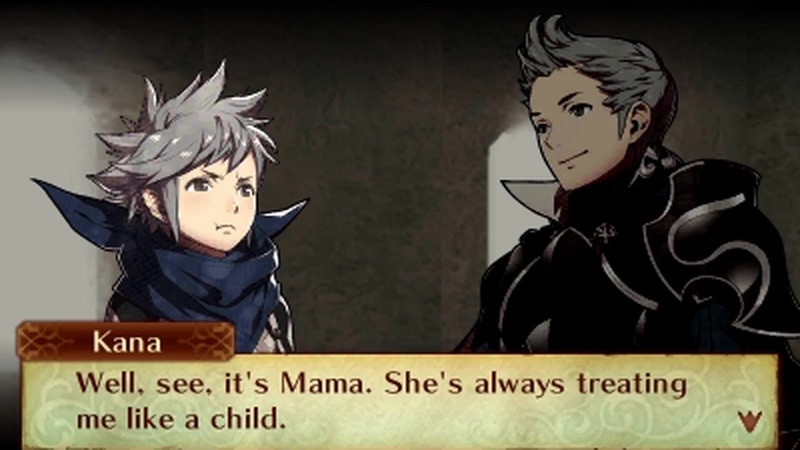 I don’t particularly care much for Silas’ child to be honest, but well, both children’s support conversations with each other are not bad I guess. 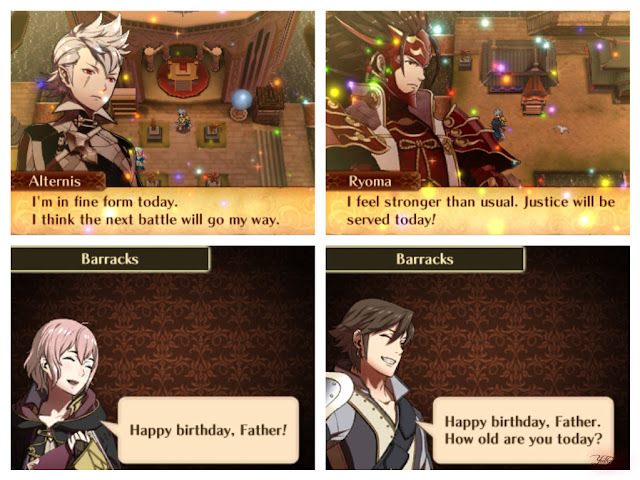 All that said, my favorite part in Fates has got to be the fact that you get birthday buffs on your birthday! I didn’t realize until I happened to be playing throughout the night, and then when I completed a battle and arrived at the barracks and talked to Kana, he wished me happy birthday! 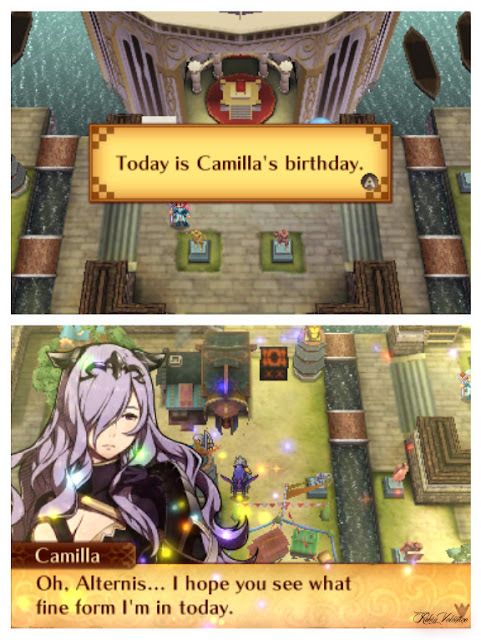 I mean, every other character you talk to on your designated birthday will wish you a happy birthday but how cute is it!!! IT’S TOO CUTE!!! That's not to say that only the Avatar gets birthday buffs, but every other character that is with you has their own birthday buffs!! Too!! Cute!! I’d say gameplay is pretty similar to the previous Fire Emblems, but having the choice between three different routes is pretty amazing. 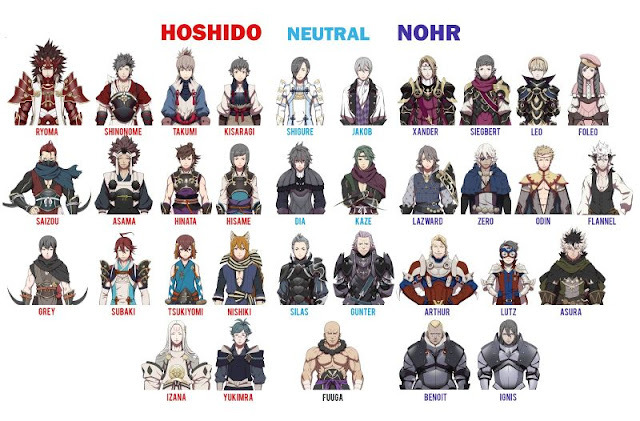 Can you imagine a non turn based Fire Emblem though! 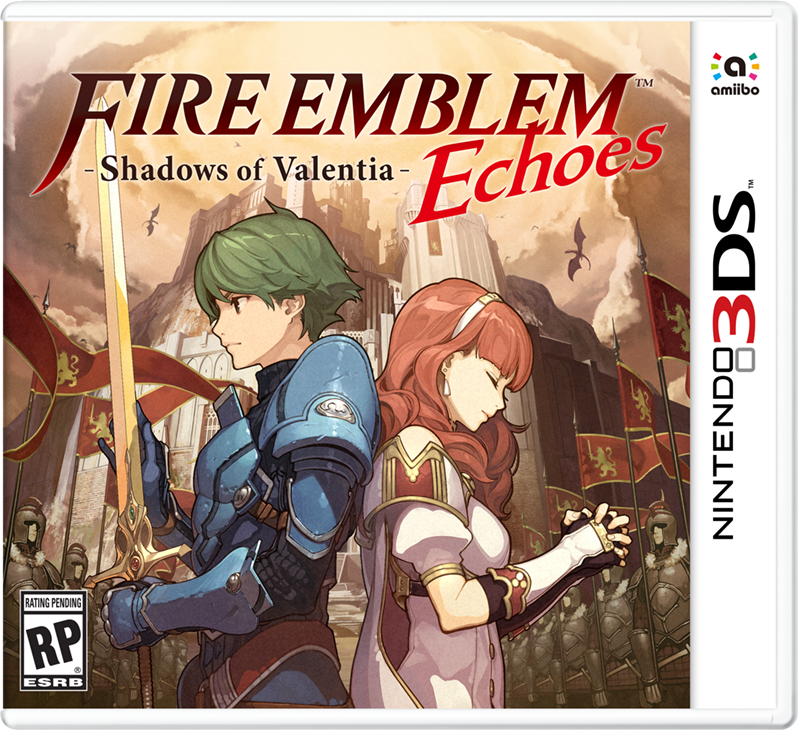 Would that still even be considered Fire Emblem? Anyway, here’s a new Fire Emblem announced, I think it’s Fire Emblem Echoes, coming out sometime May? 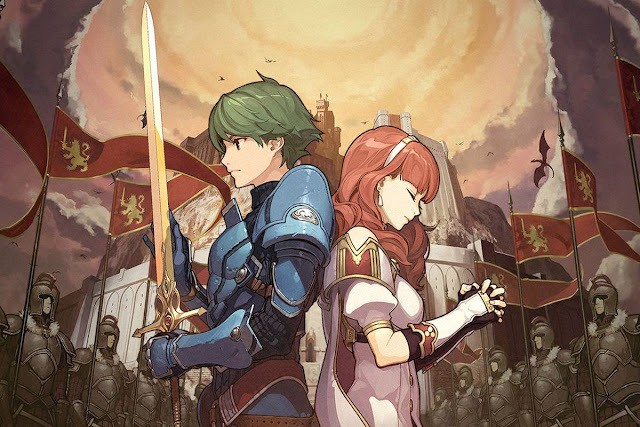 There is also a Fire Emblem Heroes for mobile, which is fun, but I got bored after a quick while. It is energy based, so I can’t play for hours for end. 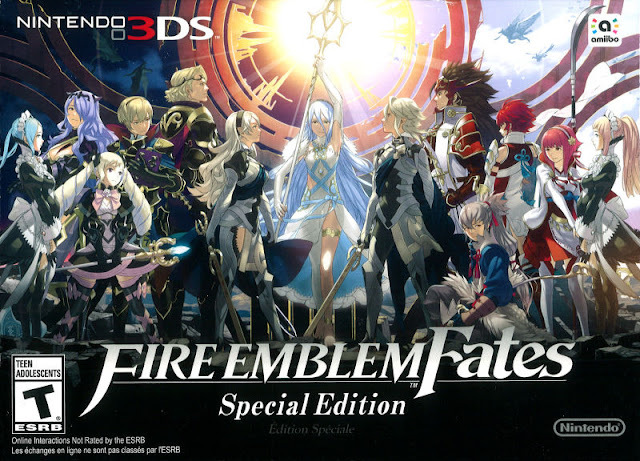 But, all in all, Fire Emblem gets a 10/10 from me. That $190 was definitely well spent. 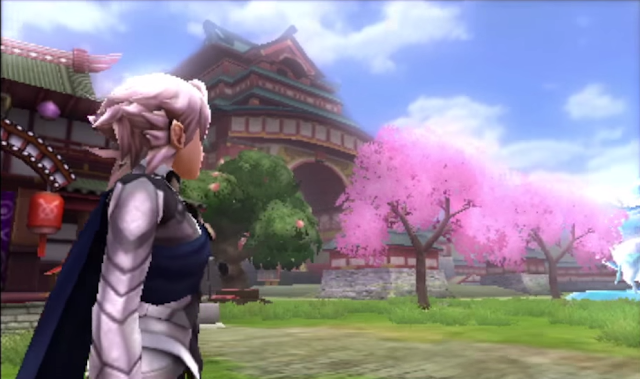 No Comment to " 3DS: Fire Emblem Fates "